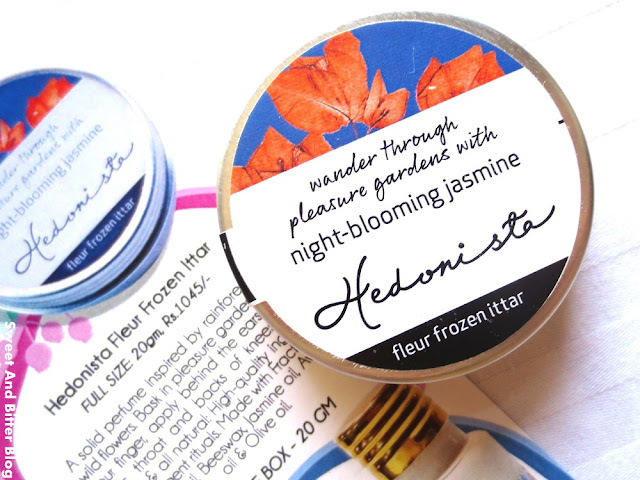 Hedonista Night Blooming Jasmine Solid Perfume (full size, Rs 1045 for 20 gm) - I am happy to see this. 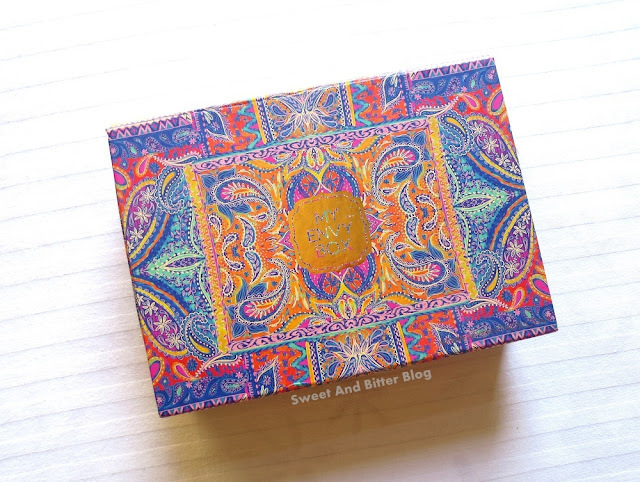 Back in last year July, I tried my very first Hedonista product – a face pack which is like Lush Cupcake. Then, Envy Box sent a frozen ittar in August box which I loved. But, it was a different variant. 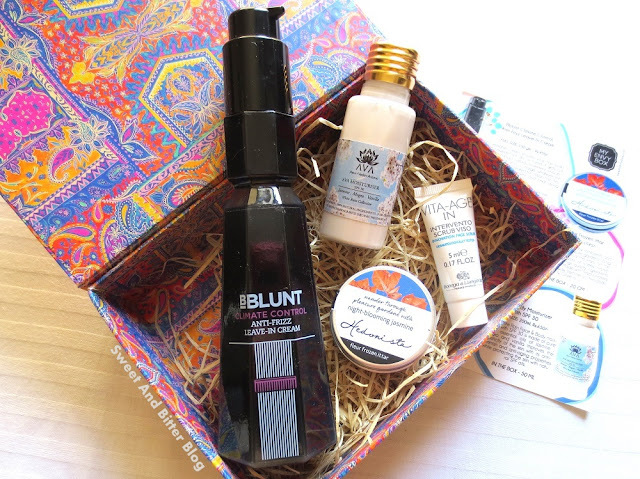 BBlunt Climate Control Anti-Frizz Leave-In Cream (Full size, Rs 450 for 150 gm) – I already have this. It is a light leave-in cream. 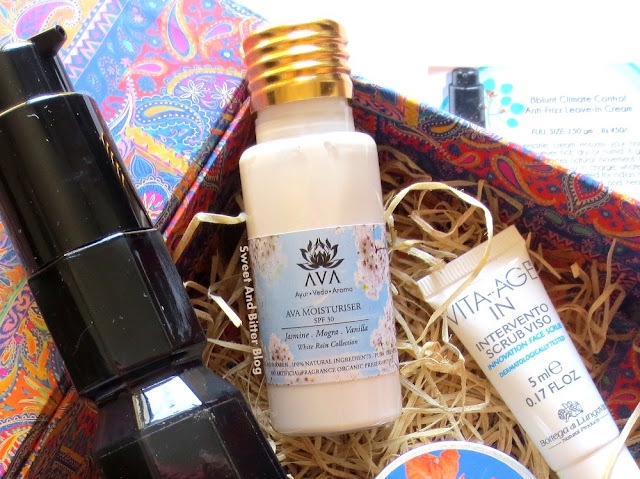 AVA Moisturiser Jasmine Mogra Vanilla White Rain Collection (Travel size, Rs 650 for 50 ml) - This has an amazing floral fragrance. I have never tried this brand before. Vita-age In Intervention Scrub Viso Bottega di Lungavita ( 5ml samples) - A decent scrub which feels like a creamy walnut scrub. The scrub in the tube is very less. I had to squeeze till the neck of the tube. Overall - The price of the product covers the price of the box. I am happy to see two full-size products. The tiny tube is not worth to be talked about. I received just four products instead of five. Personally, I love the cover more than the contents.